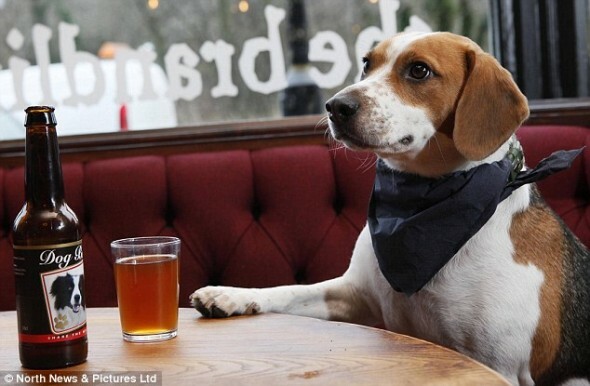 There’s a bar in the U.K. that’s not only dog-friendly, but also includes a canine beer and snack menu. The meat-flavored dog beer is non-alcoholic, so no worries about drunken dogs. Though if owners over-indulge, we’re guessing the pub proprietor would propose a “hair of the dog” cure. This entry was posted on Tuesday, January 10th, 2012 at 4:02 PM. It is filed under Blog. You can follow any responses to this entry through the RSS 2.0 feed.